There are certain things that everyone knows. Everyone knows that you should get as much formal education as possible, buy a house as a solid investment, look to the stock market as an economic barometer, and trust the Fed as the nation’s money manager. Another thing that everyone knows: prisons keep us safe from predators. But what if all of these things are wrong, not just a bit wrong but wholly incorrect? What if the reverse is true? What if, for example, hanging around in school for as long as possible is the worst life step you can possibly take? What if the real criminals are still in the streets but most people behind bars are not really threats to anyone? 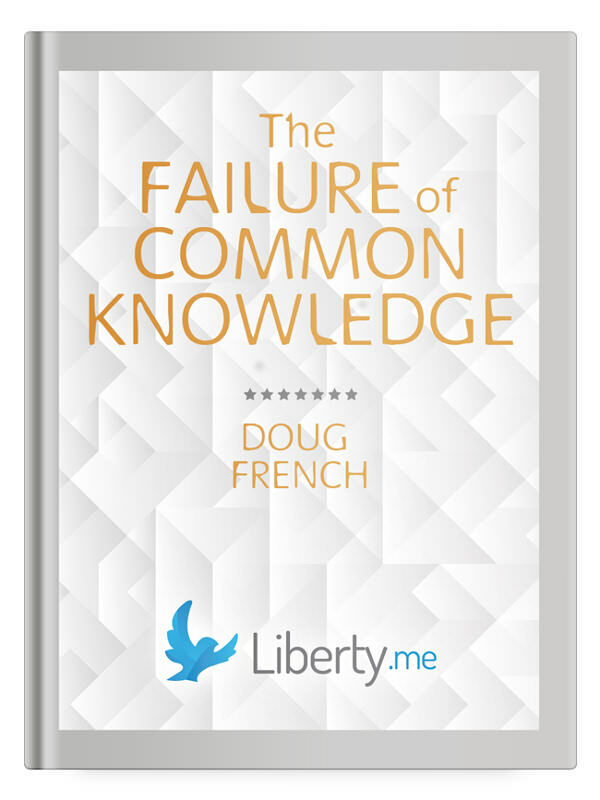 In The Failure of Common Knowledge, Doug French applies economics and contemporary facts to upend many common assumptions people make about critical life decisions. He shows that the common views do not take account of the real costs and risks — or the actual facts on the ground of our crazy, mixed-up world. This book is a training guide for how to navigate a very confusing economic environment.